Right now, we can install the elementary OS desktop environment, Pantheon, on Fedora GNU/Linux. It is a new thing on Fedora as so far it, as RPM distro, does not have Pantheon in its repository. If you know Fedora now has Spins ("Flavors"), you know that up to today there is no Fedora Pantheon among those Live Systems available. 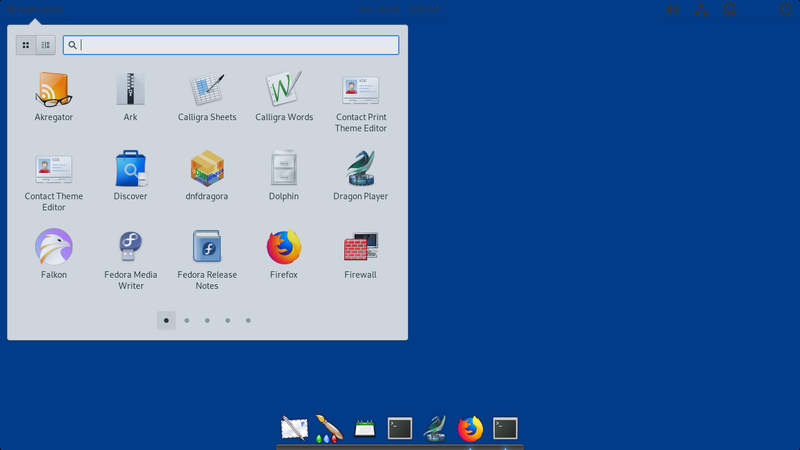 It is planned to be added into Fedora 30 this year and fortunately we can test it now on Fedora 28 and 29. Why Fedora? 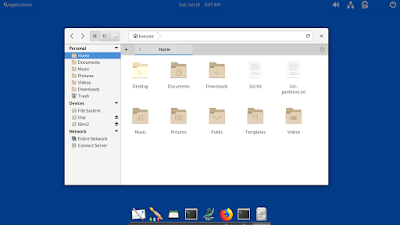 Because the fact that Fedora still supports 32-bit, if Fedora supports Pantheon, then this solves problem that elementary OS only supports 64-bit computers. 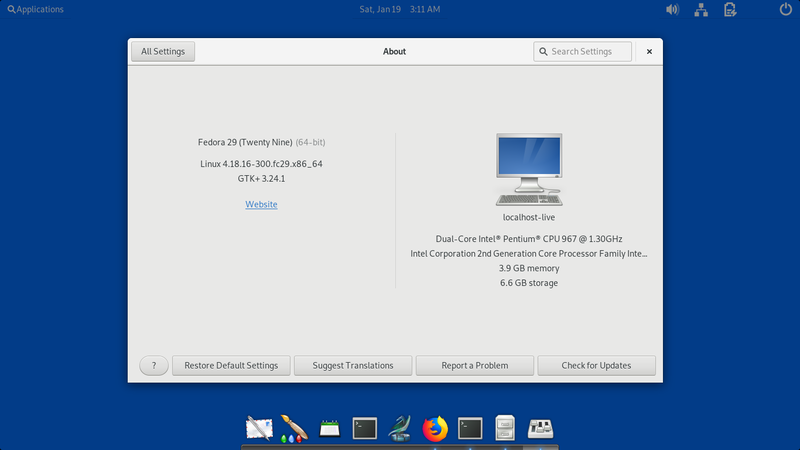 You who still have 32-bit laptops can run latest Pantheon desktop using Fedora. I use Fedora Live KDE 29 in this test. 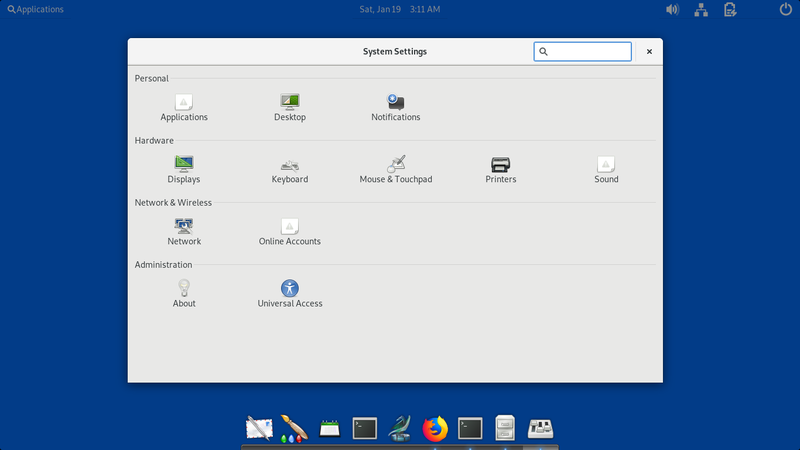 You can use this to help testing Pantheon desktop to work on Fedora. Happy testing! On Fedora Live KDE 29, this downloads around 28MB of packages. Close your session and select Pantheon from desktop session choices on the login screen and finally login. You will see your desktop turned into this. Hey, Super key alone works here to open/close start menu (perhaps because I use Fedora KDE as the basis). Finally, I would love to say thanks to Fabio Valentini (decathorpe) to bring Pantheon on Fedora in really high spirit since more than one year ago. Without your effort, I cannot run Pantheon on Fedora. Good luck in maintaining Pantheon on Fedora!